Koi ponds are truly a backyard delight. They enhance and beautify the look of your outdoor area. 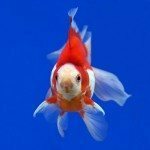 This is a list of basic koi pond equipment you’ll need after construction to enjoy your Koi pond and your own special paradise. Good filtration is necessary for the health of the Koi. If pollutants are able to get into the water supply they can make your Koi sick and cause death. 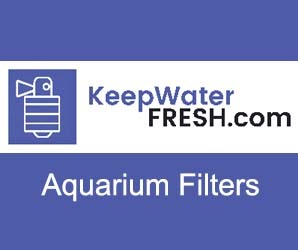 Buying a quality filter will give the best long term results. The filter is what helps the water in your pond keep moving constantly. A pump is required to prevent the water becoming stagnant. The choice of a pump is an part of of your project planning. Choosing a pump that’s too powerful will pump water with great force which can kill your Koi. Be careful when determining which pump to use. If you have a small pond, you don’t need a huge pump. Read full article on this link. These are very good for your pond’s physical look and appearance. The sounds generated by the fountains and waterfalls are relaxing especially when you’re enjoying the view while sipping on your favorite beverage. Another advantage of having a fountain or waterfall in your pond is that it keeps the water oxygenated leading to better health for your fish. They help mask the sound of the water pump which can be annoying. Tap water which is most commonly used in ponds contains a lot of chemicals. Chemicals such as chlorine and fluorine are not good for the health of aquatic life. This is the reason your pond needs a dechlorinator. It removes substances such as chlorine and other chemicals from the water. It’s very helpful in removing other pollutants keeping your waterscape clean and healthy for your fish. To be assured that your Koi pond is in the best condition you’ll need a water test kit. You’ll find many ways in the kit that allow you to test the quality of the water. You can use it to keep track of your koi pond water pH levels as well as nitrate levels and reduce the chance of spreading toxic substances that threaten the life of your Koi. Salt, baking soda and other chemicals are required to maintain acidity of water at normal levels. It’s an important part of your pond maintenance. These chemicals must be added to the water with proper instructions. Koi love to eat. They are omnivores. Koi have food especially made for them. 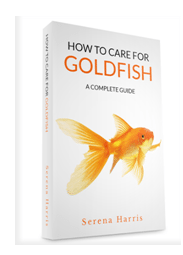 Tip: It’s very important to provide your Koi with food at specific intervals each day. Click on this link for recommended products for your pond. By the way, this is what you can look forward to when relaxing by your koi pond. We found this wonderful video with amazing fish to give us all inspiration. Inspired? Click on this link for find out more about building and maintaining and koi pond. Koi Pond Fountains And Who Has The Best Floating Aerating System?